Dremel rotary tools are a welcome addition to the tool chest. Dremel tools are a hand-held power tools with a wide variety of accessories and attachments. Contractors find them useful for detail work during finish carpentry. Modelers can use them for a variety of finishing and polishing tasks. Anyone with a need for precision work will find a Dremel handy. A Dremel is not the tool for all jobs -- if you're trying to cut 1/2" thick steel, a chopsaw or quality hacksaw is what you want- but for areas too constricted for other tools; jobs requiring precision, this may be the ticket. Following is some basic steps to using a Dremel -- be sure to consult your operator's manual for more information. 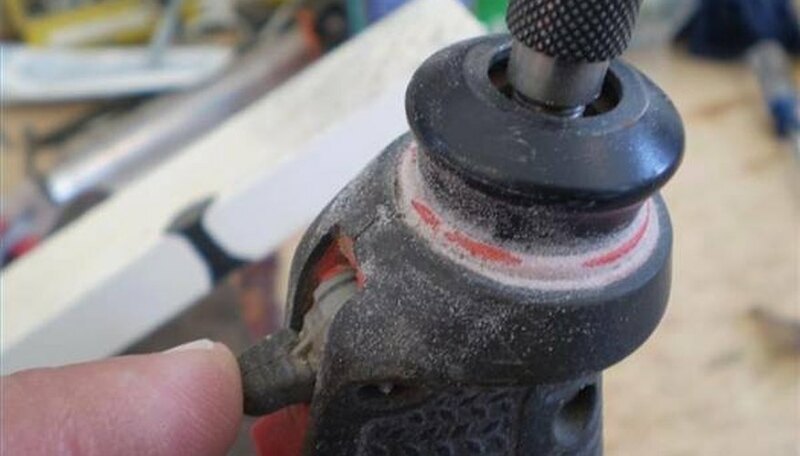 Unplug your rotary tool if it is connected to a power source. Select your accessory; for our example, we will use a drum sander. Engage the chuck lock, loosen the chuck, and insert the accessory at least halfway into the chuck. Tighten the chuck using the rotary tool wrench, which is usually supplied with the tool. Disengage the chuck lock. Most accessories will mount in the same manner. 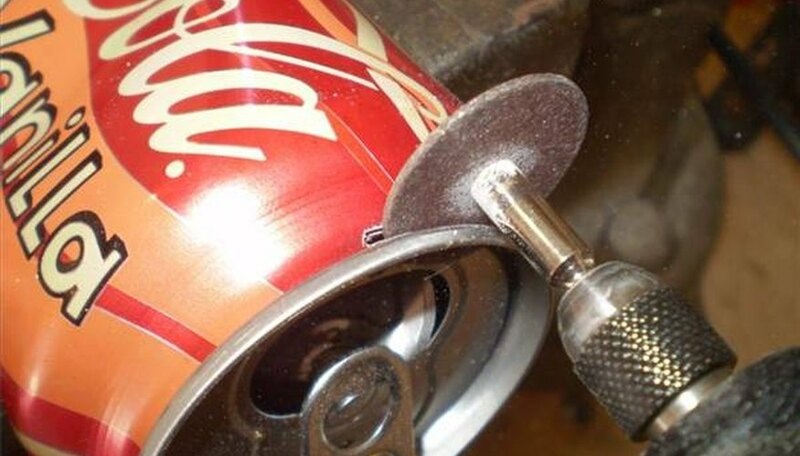 Put on your eye protection, and plug in the rotary tool. If your Dremel tool has variable speeds, start at a low setting, and experiment until you find a balance between good control of the tool and good work speed for the accessory. Turn on the tool, and apply light to moderate pressure to the work piece. Hold the tool with both hands, if possible, and keep your elbows on the worktable to help steady the tool. When your sanding becomes less effective, change the sanding band. Stop the tool and unplug it. 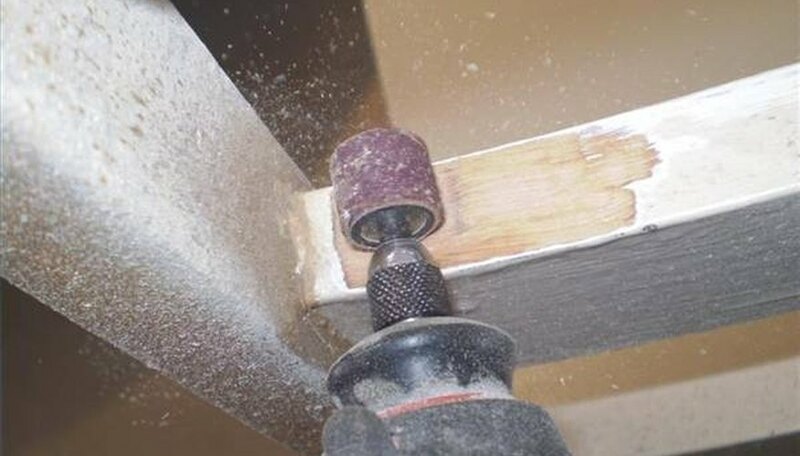 Use the rotary tool screwdriver to loosen the screw at the top of the sanding drum. Slide off the old sanding band, and replace with a new one. Tighten the screw head until the drum expands enough to secure the sanding band. Continue sanding. Try a cutoff wheel. Stop the tool; unplug it. Engage the chuck lock. Loosen the chuck with the rotary tool wrench. Remove the sanding drum. Insert the 402 mandrel with the screw on top. Tighten the chuck, and remove the screw. Put the screw through a cutoff wheel, and reattach to the mandrel. This wheel works well in areas too constricted or delicate for a hacksaw or other tools. 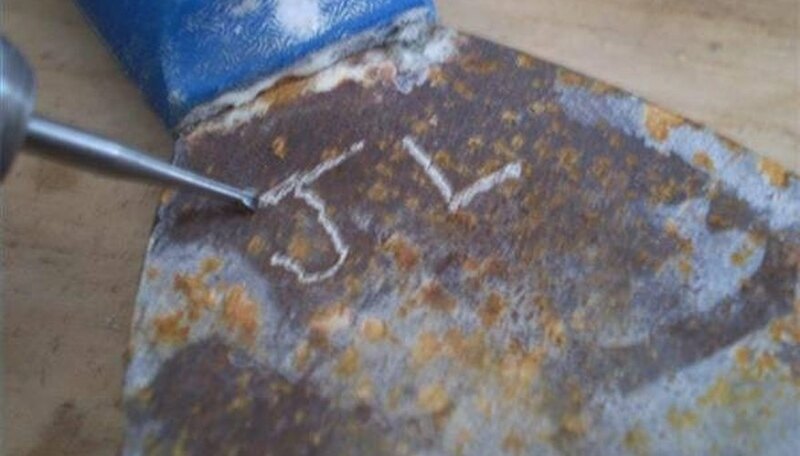 The engraving bit will etch into wood, plastic and most metals. Try using it to add additional info to a pet's tag or to mark your tools. Removing accessories is easier if you insert them fully into the chuck, then pull it back out 1/4 inch or so. Tighten the chuck. When you remove an accessory, loosen the chuck; then push the accessory deeper in. This helps loosen the collet, allowing easy withdrawal. Look for a Dremel tool kit that comes with a case; accessory storage compartments help keep you organized. Experiment: A wide variety of accessories are available. Always wear eye protection. 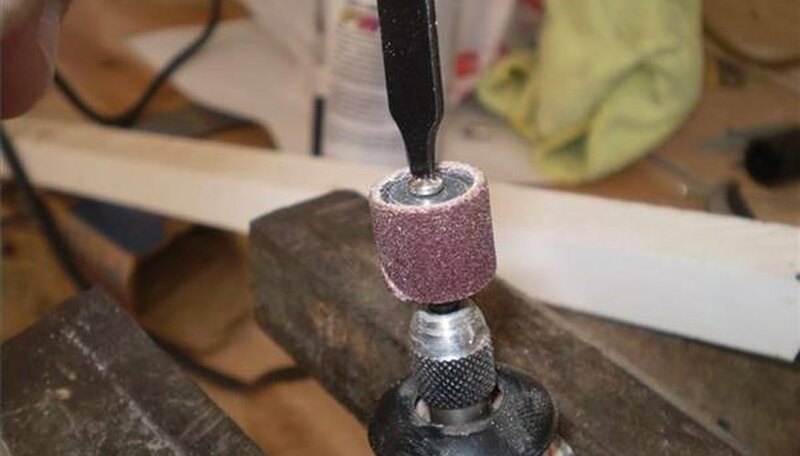 A Dremel is a precision tool spinning a small-diameter shaft accessory at high speeds. Excessive work pressure can bend accessories or the tool's innards, as well as cause injury. Let the tool do the work, using only light pressure.